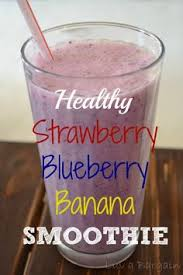 Let’s welcome spring back with a delicious smoothie! 1 cup of blueberries, washed. 1. In a tightly covered container, shake all dressing ingredients. 2. 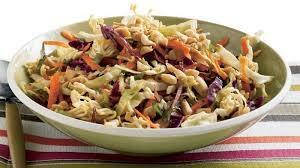 In medium glass or plastic bowl, toss salad ingredients and dressing and then cover and refrigerate until serving time. 1. Move the oven rack to a low position so that tops of pans will be in the center of the oven. Heat oven to 350 F. Grease bottoms only of two 8X4-inch loaf pan or 9X5-inch loaf pan with shortening or spray with cooking spray. 2. In large bowl, stir zucchini, sugar, oil, vanilla, and eggs until well mixed stir in remaining ingredients except nuts and raisins. Divide batter evenly between 8-inch pans or pour into 9-inch pan. 3. 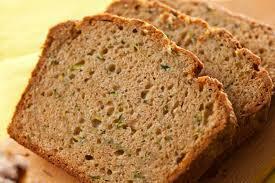 Bake 8-inch loaves 50-60 minutes 9-inch loaf 1 hr 10 min – 1 hr 20 min or until an an inserted toothpick comes out clean. 4. Loosen sides of loaves from pans; remove from pans and place top side in wire rack cool completely 2 hours before slicing. Omit zucchini, cinnamon, cloves, and raisins. stir in ½ cup milk and 2 teaspoons grated orange peel with oil. Stir in 3 cups fresh or frozen (thawed and drained) cranberries into batter. Bake for 1 hr – 1 hr 10 min. Substitute 1 can (15 oz) pumpkin (NOT Pumpkin pie mix) for zucchini. Mom can make cookies and they’re great, but after that you may want a glass of milk, and end up using a glass and making more work for mom. If only there was a clever and quirky solution to this dilemma. How about some cookie shots? This was inspired by the Dominique Ansel Bakery. 1. Reheat oven to 350 F (175 C) grease molds of a popover pan. 2. put all the ingredients into a bowl and mix them together until it becomes doughy. 3. form cookies inside an oven safe mold and bake for 20 minutes make the walls of the cookie ¼ inch thick and let chill for 20 to 30 minutes before baking. 4. then pour the melted chocolate into the shot glasses and then pour the excess chocolate back into the bowl and let it chill until the chocolate has set. 5. Pour your milk and you’re ready to enjoy. 1. Microwave ground beef, taco seasoning, and garlic in bowl, stirring occasionally, for about 5 minutes, or until beef is no longer pink. Break up any large pieces of beef with a spoon, then drain off fat. 2. Drain tomatoes, reserving 1/4 cup juice. Using a potato masher, mash half of beans with reserved tomato juice in large bowl until mostly smooth. Stir in beef mixture, remaining beans, tomatoes, and 1 1/2 cups Monterey Jack until well combined. 3a. FOR A 1 1/2- TO 5-QUART SLOW COOKER: Transfer mixture to slow cooker, cover, and cook until heated through, 1 to 2 hours on low. Stir dip to recombine and sprinkle with remaining 1/2 cup Monterey Jack. Cover and continue to cook on low until cheese is melted, about 5 minutes. 3b. FOR A 5 1/2- TO 7-QUART SLOW COOKER: Transfer mixture to 1 1/2‐quart soufflé dish. Set dish in slow cooker and pour water into slow cooker until it reaches about one‐third up sides of dish (about 2 cups water). Cover and cook until heated through, 1 to 2 hours on low. Stir dip to recombine and sprinkle with remaining 1/2 cup Monterey Jack. Cover and continue to cook on low until cheese is melted, about 5 minutes. Remove dish from slow cooker. What you need: Toasted hazelnuts bring crunch to the frosted tops and moist centers of these mini carrot cakes, made extra tender with the addition of oat flour. 1. Preheat oven to 350 degrees. Line a standard muffin tin with paper liners. 2. In a medium bowl, whisk together flours, baking soda, salt, and finely chopped hazelnuts. In another medium bowl, whisk together oil, buttermilk, eggs, granulated sugar, vanilla, orange zest, and carrots until combined. Fold oil mixture into flour mixture until just combined. Divide batter evenly among lined cups, filling each three-quarters full. 3. Bake cupcakes until golden and a toothpick inserted in centers comes out clean, about 23 minutes. Let cupcakes cool in pan 15 minutes, then transfer to a wire rack and let cool completely. 4. In a small bowl, stir together cream cheese and confectioners’ sugar until smooth; season with a pinch of salt. Frost cupcakes, then sprinkle with coarsely chopped hazelnuts. Creamy ricotta, Juicy blood oranges, cara cara oranges, clementines, and floral honey bring out buckwheat’s earthiness in airy waffles. 1. In a bowl, whisk together flours, sugar, baking powder, and salt. In a medium bowl, whisk together milk, butter, and egg until combined. Stir milk mixture into flour mixture until just combined. Let batter stand, uncovered, 20 minutes. 2. Preheat a waffle iron and lightly coat with cooking spray. Cook waffles according to manufacturer’s instructions (for standard-size Belgian waffles, fill each cavity with about 1/2 cup batter) until golden brown and crisp (for Belgian waffles, about 8 minutes).